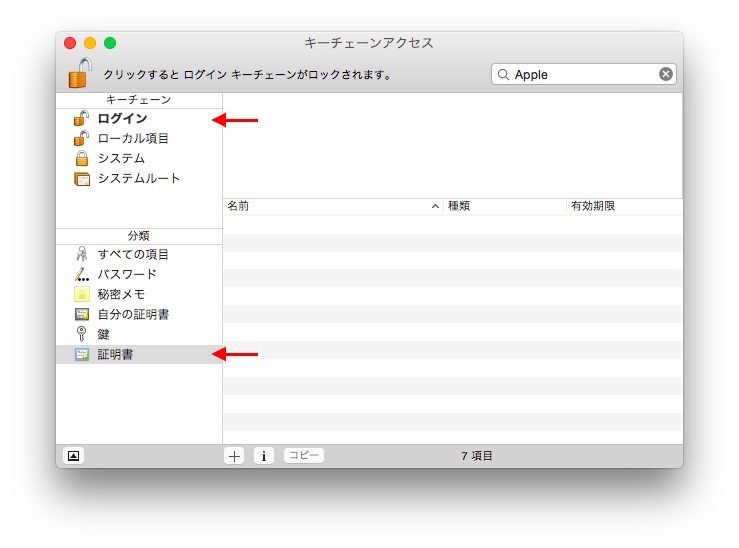 OS X 10.10.3＆セキュリティアップデート 2015-004を適用した一部のMacでSSL証明書が壊れる不具合とその対処法。 | AAPL Ch. On the other hand, users and software developers alike expect minor version upgrades to fix bugs and introduce only new features that don’t break stuff. But that’s not the case with Yosemite 10.10.3, which broke a number of HTTPS websites, Web services, and applications that download content from those sites and services. 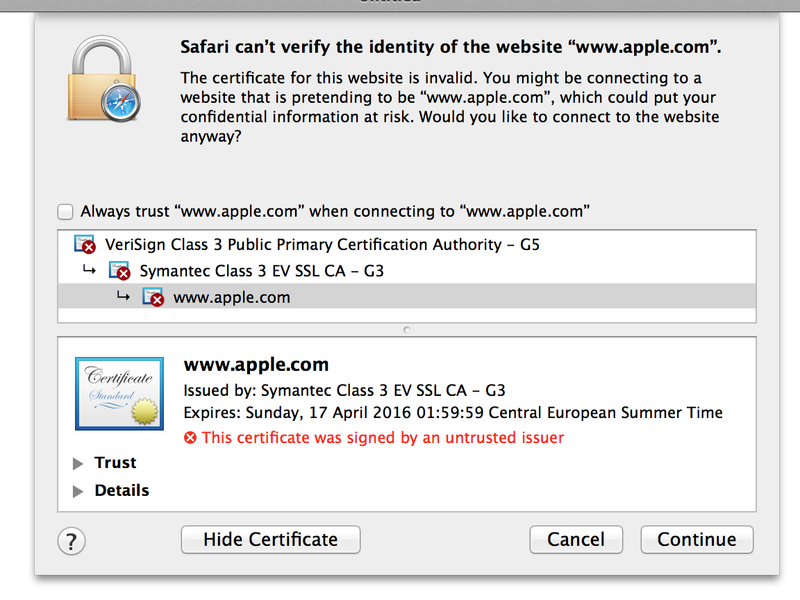 I solved this problem by deleting all VeriSign certificates in my login keychain. 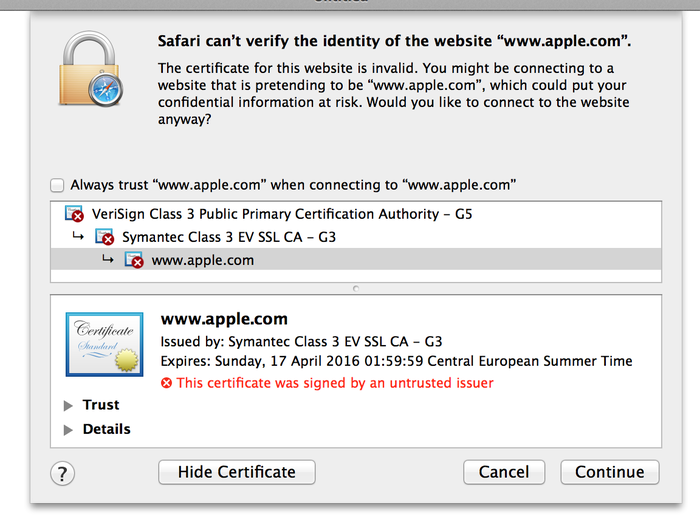 I did not touch any certificates in the System Roots keychain. I exported the 4 certs there first of course, but App Store and iTunes connected and work properly without them in my login keychain.